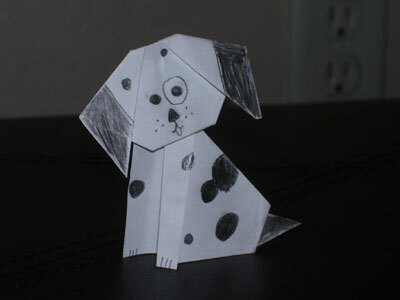 Check out how well our readers have decorated their origami dog! Love them! 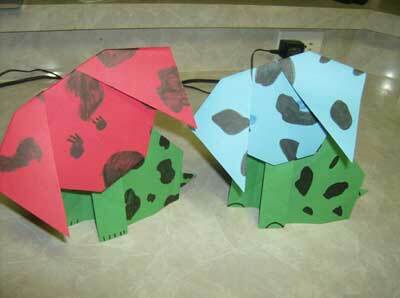 You can also see more photos on Page 1. 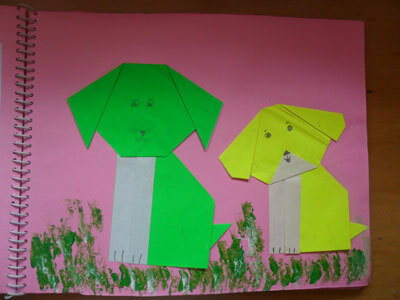 From Audrey in Western NC "My family of dogs!!!" 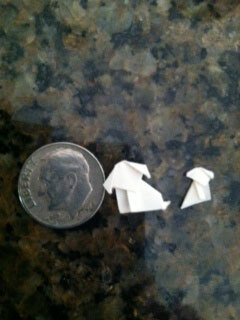 From Audrey in Western NC "My tiny dog name Tiny!!" 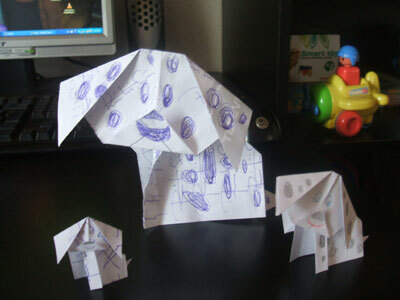 From Talia in Calgary " I love doing origami! this site has really great instructions. these are my dogs, CeCe and Rocky! " From Jeanette in Singapore " this is whisky . 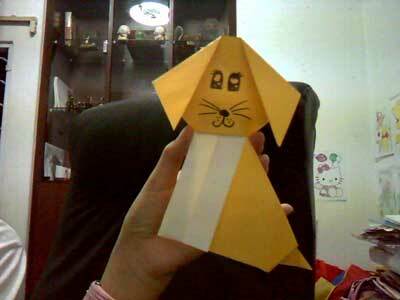 hehe it got its name because i had drawn him whiskers which it is quite odd and funny." 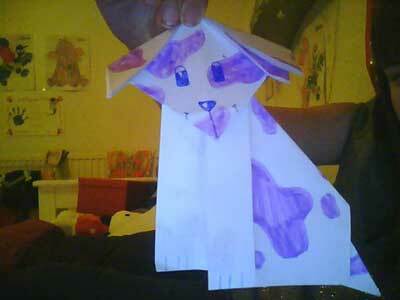 From Summer in Canada " My Teachers Dog Calie :) "
From Olivia in Newcastle " this was fun! 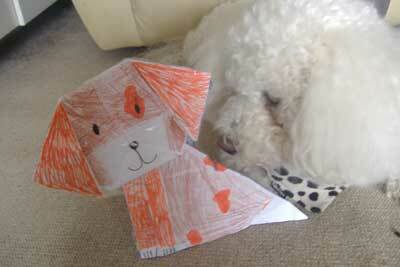 i named him alfie, and that is the same name as my real dog beside him! " 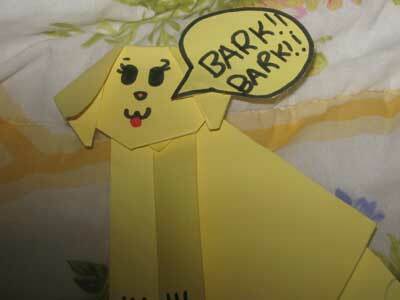 From reader in Ajax " hey guys this ia my pup her name is Chi Chi she is telling u something. " 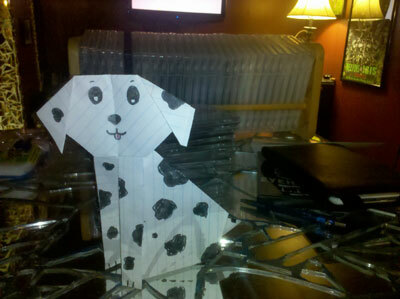 From reader in Haverhill "My origami dog is GR8!" 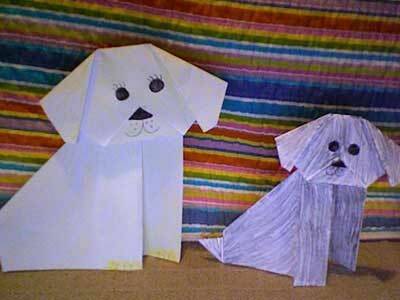 From reader in Clermont " These are two dogs that me and my Mom made. " 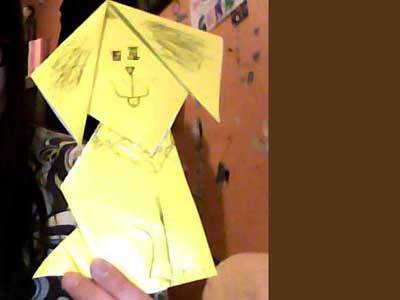 From Sasa in Sarajevo " Origami dog, made in Sarajevo, Bosnia and Herzegovina! " 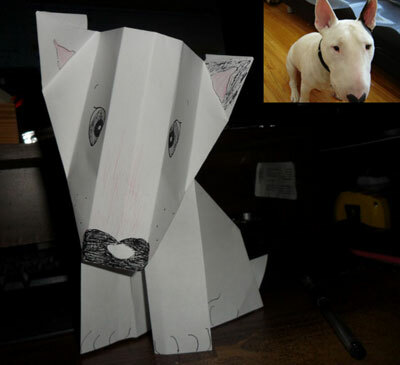 From reader in Sudbury " Origami dog, tried to make it look like my bull terrier. " 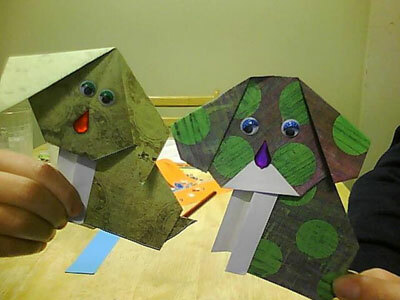 Looks pretty similar to your dog! 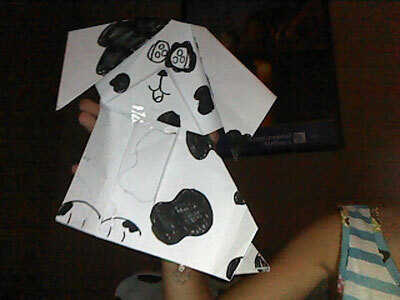 From Alexis in Brandon " origami dog. 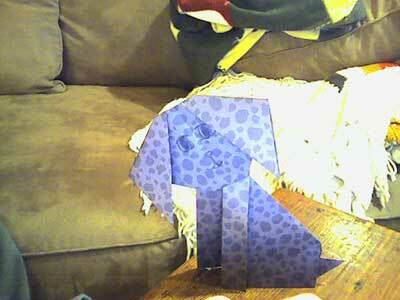 I named him pookie! pookie is a good dog. " 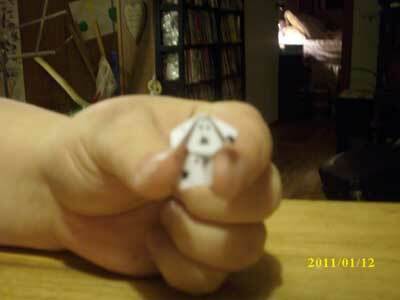 From Sara in Lacombe " Yay! 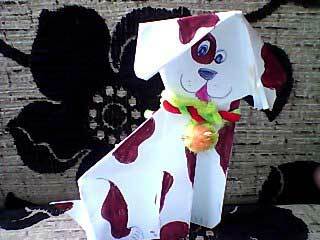 This is my doggy! 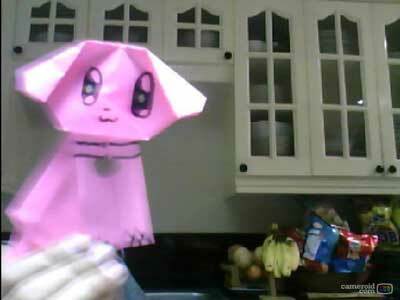 His name is egghead! " 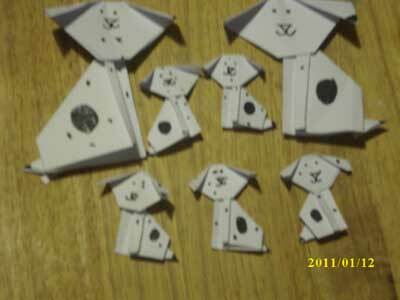 From Analise in Zackary " Me and my lil bro made these cute puppies names: ruff and xoom."